One of the incentives to watch the Barça-Deportivo match this Saturday at the Camp Nou was Leo Messi's possible comeback following 24 days out. The Argentinian hadn't played since his injury during the Atlético de Madrid match and he started Saturday's game on the bench. We followed his comeback with interest and he was welcomed back with applause when he started warming up in the second half. In the 55 minute Barça's number ten replaced Sergio Busquets to a standing ovation. Messi made an immediate impact and only needed 145 seconds to score his first of the evening and the Catalan's fourth. He almost bagged a second but Germán Lux managed to keep his effort out. 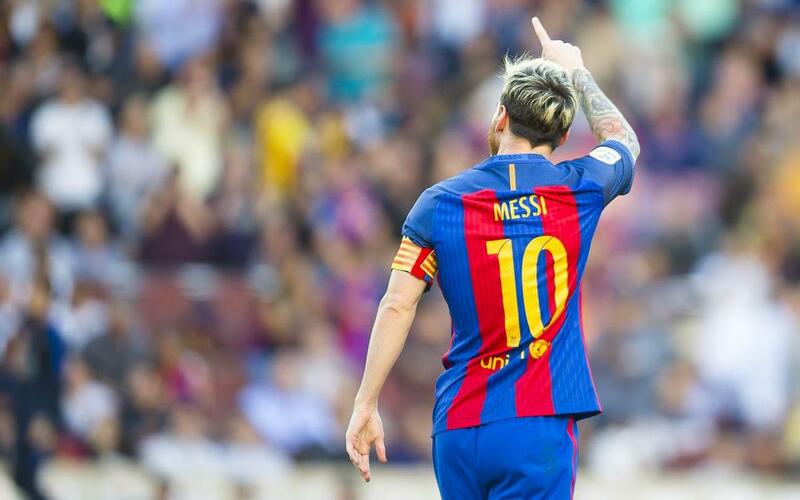 Don't miss the video of his return to the Camp Nou. After his excellent performance against Deportivo, Messi is celebrating the 12th anniversary of his official debut for the first team on the 16 October 2004 in the Olympic Stadium Lluís Companys. The 17 year-old Argentinian played his first game for Barça coming on as a substitute for Deco. This day twelve years ago marked the start of an incredible journey, which we are still enjoying today.